The past several days II have been on the road in the mountains of North Carolina. 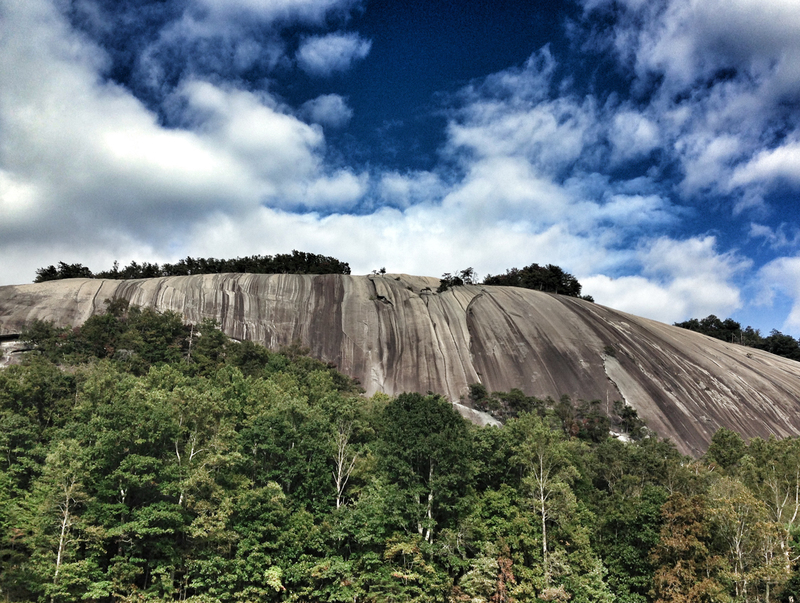 I had a program on Saturday at Stone Mountain State Park and had a great hike across the large granite dome for which the park is named. The park was packed with campers and hikers taking advantage of the start of fall colors and perhaps visiting an open state park instead of the many federal lands closed by the unfortunate government shutdown. After a rainy couple of days along the Blue Ridge Parkway (the road is still open but facilities are closed) I visited Crowders Mountain State Park near Gastonia. 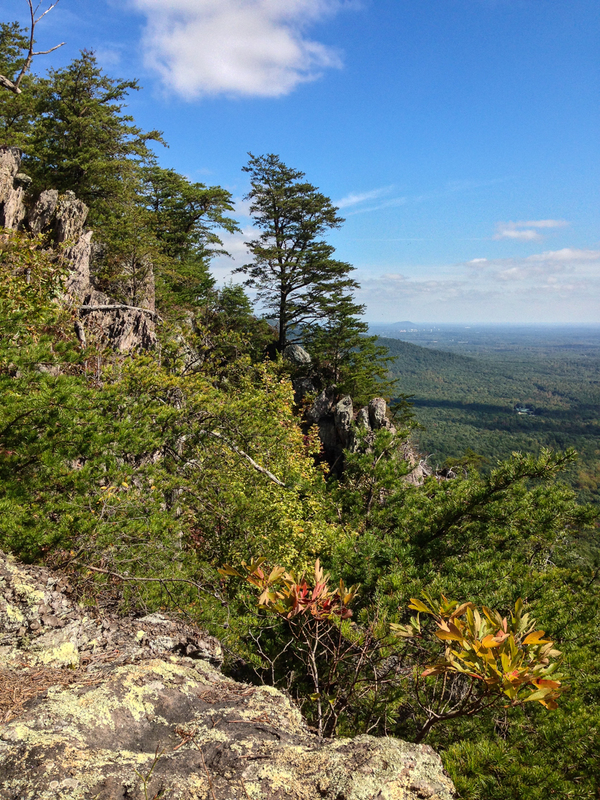 The weather cleared and the two mile hike to the summit of The Pinnacle was a welcome sunny stroll. 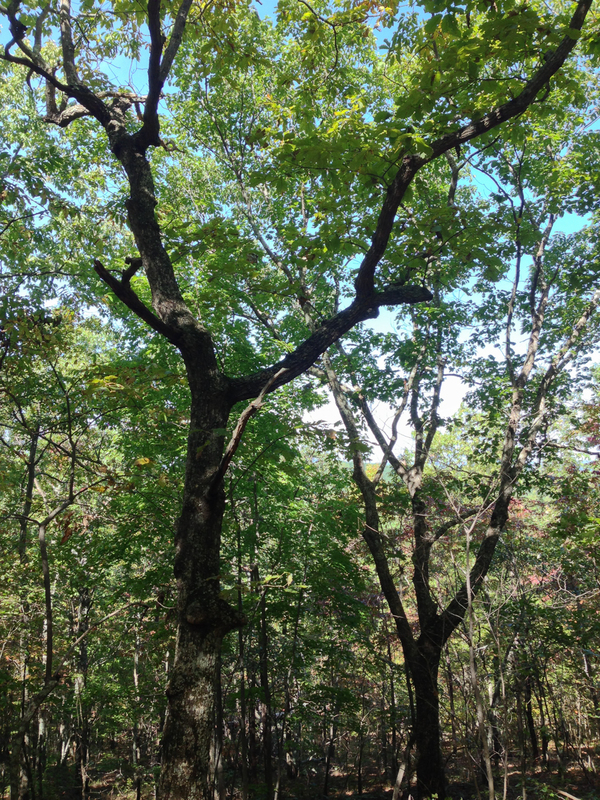 The main trail passes through a forest dominated by Chestnut Oak, Virginia Pine, and Sourwood, with an open understory of Sparkleberry, Sassafras, Dogwood, and various herbaceous species adapted to the dry rocky slopes. There was a lot of frass (caterpillar poop) on the trail and a couple of the frass-makers were spotted along the way, including a huge Imperial Moth larvae and a Luna Moth caterpillar on Sourwood (yes, I really do look for such things while hiking). But one thing on the trail really stood out – an unusual larviform creature about 2 inches long. I recognized it as an amazing beetle I had once found on a night walk at another state park in the Sandhills. On that night, I saw a bright glow on the trail and stooped to pick it up. It looked like a worm or caterpillar with a series of bright glowing dots on each side. It was so bright I could read my watch by it. I have since found several of these so-called Glowworms (not to be confused with some Lightning Bug larvae which are also known as Glowworms). This one is the larva or adult female of a Glowworm Beetle, probably in the genus Phengodes. The females and larvae are bioluminescent. The pattern of glowing dots is said to resemble a train car illuminated from inside at night and has given this unusual insect another common name – Railroad Worm. Adult females are wingless and almost indistinguishable from the larvae. Both are predaceous on millipedes, which they resemble in color and shape. Adult males have wings, probably do not feed, are active primarily at night, and are adorned with intricate antennae. See http://bugguide.net/node/view/9382/bgimage?from=0 for more photos of these bizarre insects. 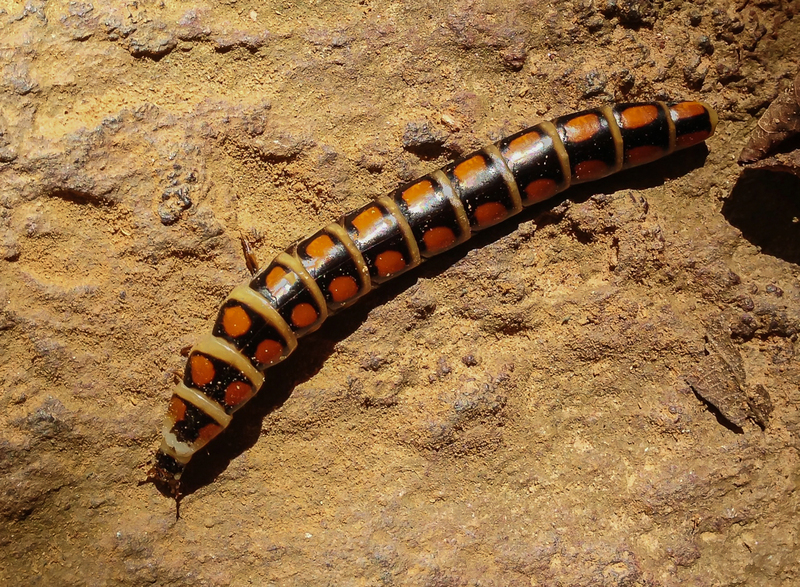 This entry was posted in Natural History, Trip report and tagged crowders mountain state park, glowworm beetle, phengodid beetle by roadsendnaturalist. Bookmark the permalink.